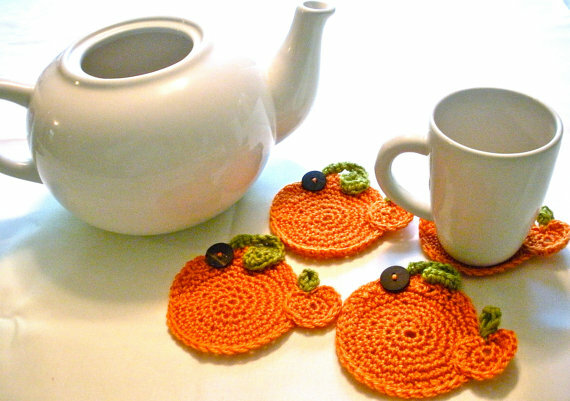 Last year I fell in love with lots of cute fruit crochet potholders that would make really cute summer coasters too. 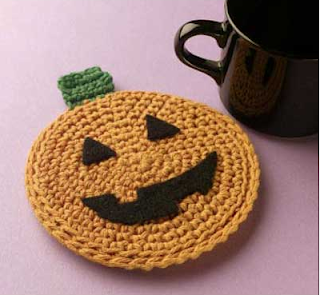 This has carried right over into the Fall and these fun pumpkin coasters. 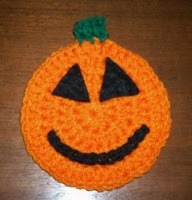 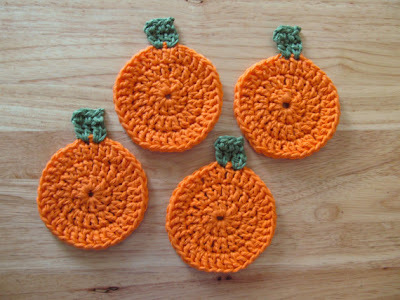 If you crochet, you can get a free pattern for these cute pumpkin coaster over at Free Patterns or you can check out The Crafty Cupboard journal because she has a free pattern for her jack-o-lantern too.